Brenda has worked in the dental office for 23 years. She is the office manager and appointment scheduler. She enjoys getting to know the patients and helping them with their appointment scheduling. She is the wife of Dr. Hall. They have been married 30 years and have 2 sons, Brian, a Pharmacist in Ada, and Grant, a CPA in Oklahoma City, and 3 grandchildren. She and Dr. Hall attend First Presbyterian Church. In her spare time she enjoys, walking, traveling and spending time with her family and friends. 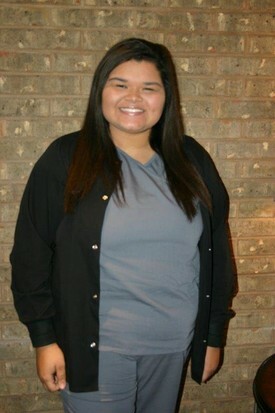 Donnetta graduated from Ada High School and attended East Central University working on a major in Business Education. 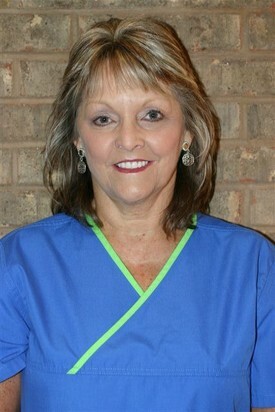 She has worked in the dental field since starting to work as a receptionist for Dr. H. D. Hall in 1965. She later became a clinical assistant and earned her certificate in coronal polishing and exposing radiographs. She worked chairside for many years before returning to front office duties. She is currently working for Dr. Bruce Hall as the business assistant as well as a front office assistant handling patient’s dental insurance, billing, and various other front office functions. 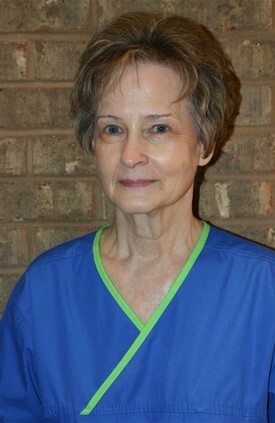 She is an office assistant at night at a free medical clinic, “The Compassion Outreach Center.” One of her duties there is to help coordinate the scheduling of patients needing emergent dental care with one of the Ada dentists (Dr. Bruce Hall being one) who have agreed to help the clinic patients. She is married, has a daughter, son-in-law and 3 grandsons. She enjoys cooking Sunday dinners for family and friends. She says she likes helping people, learning new things and finds that dentistry is an ever changing, interesting, and rewarding field in which to work and Dr. Bruce Hall provides all of those opportunities and experiences. Valeri Goodnight is a native of Konawa, where she graduated in 2005. After graduation, she attended East Central University graduating in 2011, with a Bachelor of Science Degree in Biology and double minors in Chemistry and Business Administration. After graduating from ECU, Valeri went on to Amarillo, Texas where she obtained her dental hygiene degree in 2013. Valeri is currently pursuing her Master’s Degree in Business Administration- Healthcare Management from Oklahoma Christian University. She will complete that degree in August. Upon graduating from Amarillo College of Dental Hygiene, Valeri returned to the Ada area where she worked 3 years as a Registered Dental Hygienist for the Chickasaw Nation. She joined our practice part time in September of 2015, coming on full time in June of 2016. Valeri is licensed to practice dental hygiene in Oklahoma and Texas, is a member of the American Dental Hygiene Association, Oklahoma Dental Hygiene Association, has treated patients with the Oklahoma Mission of Mercy 4 years and one year with Give Kids A Smile. She is very friendly, loves her job and her patients. Valeri and her husband Jake, were married in May of 2016. They are members of the Church of Christ. When she isn’t treating patients, she enjoys traveling, fishing, playing with her bulldogs, spending time with those she loves and playing music. 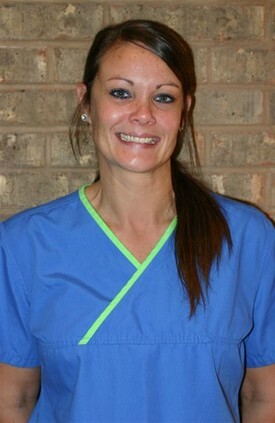 Tommie Allen is a clinical assistant and has been with Arlington Dental Center for 8 years. 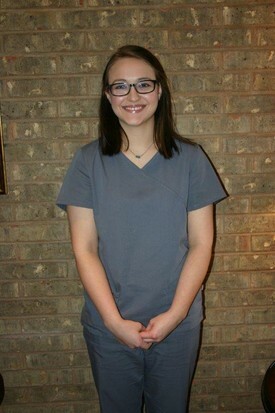 She graduated from Latta High School and completed a dental assisting course at the Pontotoc Vo-Tech. She has certification in radiation, coronal polishing, and administering nitrous oxide. Tommie has been married to her high school sweetheart for 18 years and has 2 teenage children with whom she loves spending time. She also likes hunting, camping, and going to the lake. She is very family oriented and very much a people person. Marlene was born and raised in Shawnee Oklahoma. Once she graduated high school early, Marlene moved to Ada in 2010. She has been with her high school sweetheart for ten years and has two fur babies. She enjoys spending time with family, playing pool, road trips, and listening to music. Ashley is a graduate from Latta High School. 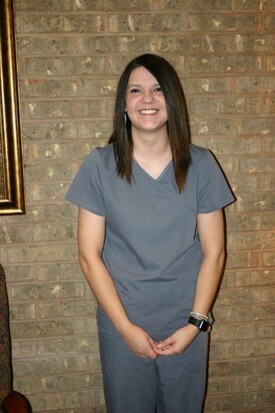 She completed her dental assisting course at Pontotoc Technology Center in fall of 2015 and has a certification in radiology. Outside the office, Ashley enjoys teaching cheer and tumbling, reading, spending time with her dogs, and seeing her friends and family. Maia was born and raised in Mississippi and has lived in Oklahoma for six years. 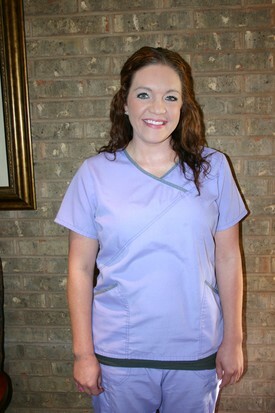 Maia is a high school graduate from Wagoner High School and a current Pre-Dental student at East Central University. Her major is Biology with minors in Chemistry and Spanish and will be completed in May of 2018. She also completed the dental assisting course at the Pontotoc Technology Center in fall of 2016. She is very passionate about the dentistry field and is in hopes of one day becoming a dentist. She hopes to one day work in a the public health field to help educate and serve an underserved population. When not studying, Maia is very active in the community through her sorority and other campus organizations. She loves volunteering and planning events to better the community around her. She also enjoys traveling, spending time with friends and family, and shopping.